qEEG-Pro offers an easy, reliable and affordable qEEG report service with the fastest turnaround time available (24/7/365). 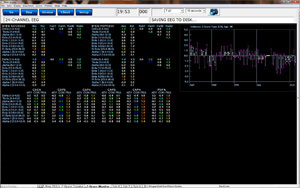 qEEG-Pro offers extensive qEEG reports based on the qEEG-Pro database. 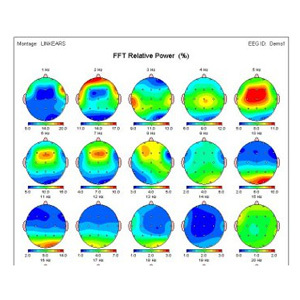 qEEG-Pro reports include all the major qEEG analyses like Z-scored Amplitude, Phase Coherence and Alpha Peak Detection. However, qEEG-Pro is also on the cutting edge of qEEG developments, by providing advanced sLORETA source reconstruction analyses and other innovative, highly useful metrics such as Extreme Z-score Development, Fluctuation Time and Percentage Deviant Activity. 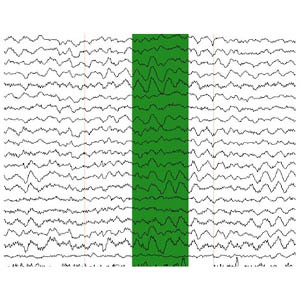 qEEG-Pro automatically de-artifacts raw EEG data using our Standardized Artifact Rejection Algorithm (S.A.R.A). Combining state-of-the-art research methods, high-end, modern EEG recording equipment, clinical experience and expertise, the qEEG-Pro report service has been constructed with the Neurofeedback therapist in mind.